Taiwanese developer Rayark may best be known for its music games on mobile platforms, but it was also responsible for one of the best surprises in the Switch’s launch lineup with VOEZ. Brought to the Switch by publisher Flyhigh Works, this colourful title showed how well once-free-to-play rhythm games could work on Nintendo’s handheld wonder, and now Flyhigh Works is back to bring another well-respected Rayark rhythm game to the eShop: DEEMO. Stylish and fun, with a wonderful soundtrack and compelling narrative, Deemo is every bit the hit that VOEZ was — and this Switch port is the best version yet. Our story begins with a young girl named Alice who falls, Wonderland-like, through a trapdoor in the sky, and down into the castle home of a mysterious pianist named Deemo. 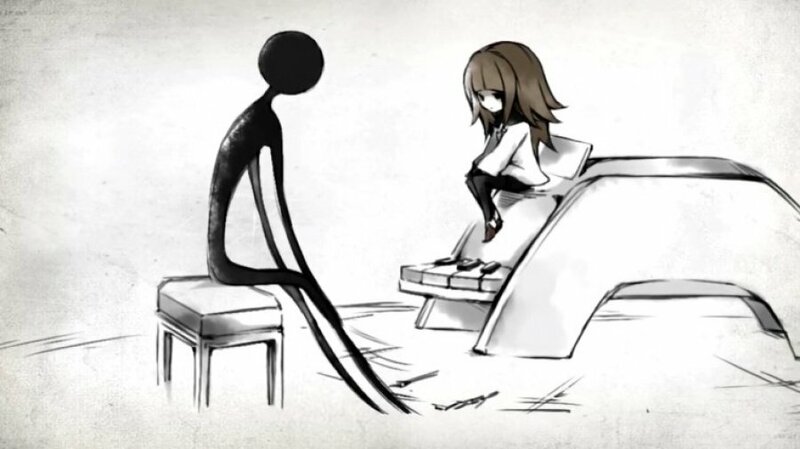 With an indistinct face and long, slender limbs, Deemo seems like something out of a hazy dream, and he may well be — everything’s delightfully surreal this side of the rabbit hole, including the large tree stump on which his piano rests. As Deemo plays, the tree suddenly springs to life and begins to grow around the piano, higher and higher, and towards Alice’s entry point in the sky. So the two set to making music, in the hopes of growing her a way to get back home. It’s a lovely, melancholy tale, and to help them on their way and watch it unfold all you have to do is pick a song and get playing. Deemo opens with only a few tracks to choose from, but as the tree shoots up — encouraged ever upward as you play —you’ll quickly unlock many, many more. 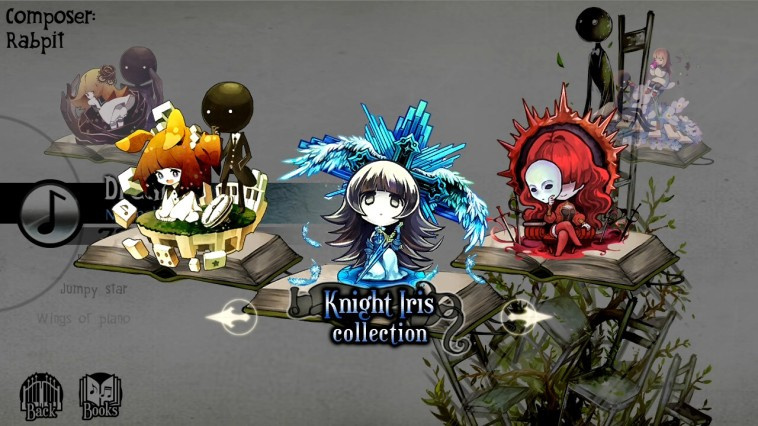 Songs are organized into different ‘packs’, and you’ll earn new ones by nudging the tree to certain meter milestones or by clearing specific songs — there are even a few to be found by searching point-and-click-style in Deemo’s ethereal treehouse. 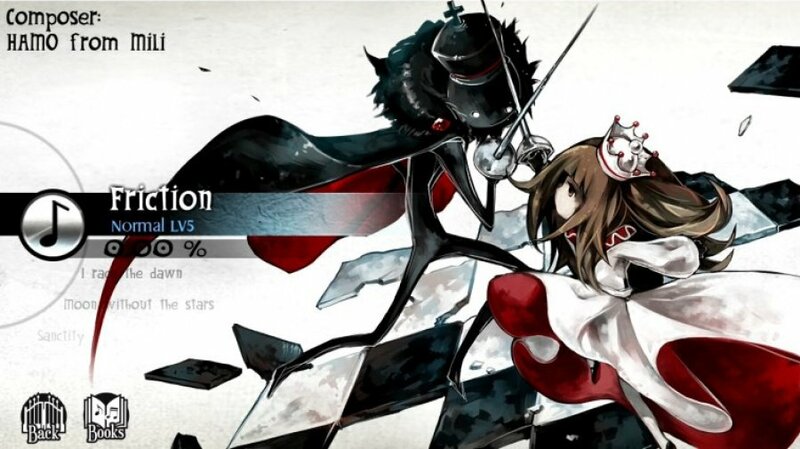 There are over 200 tracks in all, and if music is the heart of a rhythm game, Deemo has a great, big, wonderful heart. The selection is fantastic, and leans heavily on indie composers and producers from Taiwan, Japan, South Korea, and Hong Kong; this isn’t the kind of rhythm game where you’ll know the songs ahead of time, but you’ll absolutely find plenty to fall in love with along the way. Deemo’s instrument of choice means there’s a strong focus on piano in the instrumentation, but the genres go well beyond what you might expect. There’s instrumental and vocal J-pop, rock, and dance; cabaret, lounge, and light jazz; classical, Asian folk, and dubstep; bossa nova, ragtime, and club bangers. The variety is wonderful, and aside from a tiny number of exceptions — there’s a bit of generic-sounding electronica — it’s top quality, memorable music. It’s also a blast to play along to. 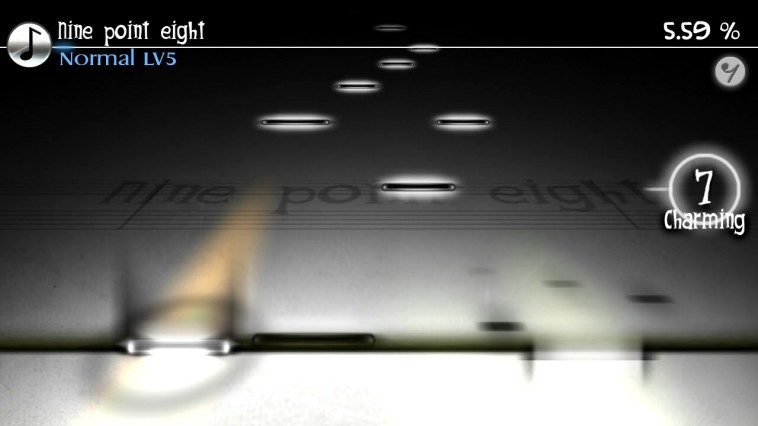 Deemo’s touchscreen-only rhythm gameplay is simple and straightforward: notes fall from the top of the screen, and when they reach the horizontal line stretched along the bottom, you’ll tap where they hit. There aren’t any predefined ‘lanes’ in Deemo; rather, notes of varying widths trickle down from the top at angles, and you’ll move your fingers to meet them wherever they may fall on the line. Aside from the basic black ‘tap notes’, there are also yellow ‘slide notes’, which come in rhythmically-tight-knit groups; you can either treat these as taps or — as is pretty much essential in faster songs — slide a finger across the line to catch them all in quick succession. For both types of notes the closer you are to perfect in your timing the better grade (and visual feedback) you’ll get for the hit, from “Charming” (orange) down to “Non-Charming” (green) and a “Miss” (blue). You’ll earn a percentage score at the end for how well you did, with higher scores sending the tree skyward faster. Each song can be played in Easy, Normal, or Hard difficulties (with individual 1-10 challenge ratings for each song), and the charts themselves are well thought out and fun to learn. The piano basis for most songs means you won’t see many crazy kinetics or screen-hopping acrobatics à la VOEZ — Deemo charts actually mirror real-life piano fingerings quite closely, so if you’ve ever played a keyboard instrument the chord rolls, parallel thirds, and hand-over-hands you practiced will come in handy here — but it does really feel like you’re playing the song, and there are plenty of intricate passages to master. The difficulty scales well too; easy charts generally pick out the most salient anchor points of a melody to follow, and should be accessible for rhythm newcomers while still providing a sense of accomplishment. Normal charts are tough-but-fun runs with chords and arpeggios, and Hard is a good challenge for rhythm aficionados, with plenty of parallel movement and every syncopation, trill, and grace note intact. The only issue we had was with the Hard mode charts for certain solo piano pieces; the more expressive of these can involve lots of micro-variations in tempo, all of which are reflected in the note patterns, and it seems unreasonable to ask players to essentially sightread the rubato. No matter the tempo of the piece, however, you can also control the speed at which the notes fall independently of the difficulty, and this makes a huge difference. Speeding up the charts can make otherwise dense patterns easier to read on harder songs, and also means more tolerant timing — if you’re finding things harder than you’d expect, we recommend revving the speed up a few notches. One of the reasons Deemo is so much fun to play on Switch is that it’s such a great fit for the system, and we mean that literally. Having spent time with the mobile and PlayStation Vita versions as well, the Switch’s touchscreen feels like the best way to play — the screen is perfectly sized to comfortably accommodate two hands side-by-side, letting you put two or three fingers from each one in charge of a different side of the chart. 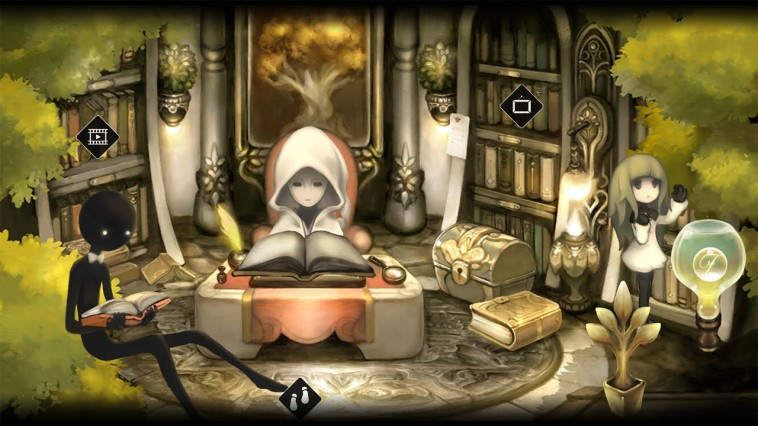 In comparison to the sometimes cramped finger-athletics on other devices, playing Deemo like this on Switch feels effortless and smooth, and more like playing an instrument than plunking away at a screen. Our preferred way to play is with the Switch lying flat on a table, but we also found it comfortable in tablet mode in the lap; button play is planned in a future update, but for now, this in an exclusively undocked experience. 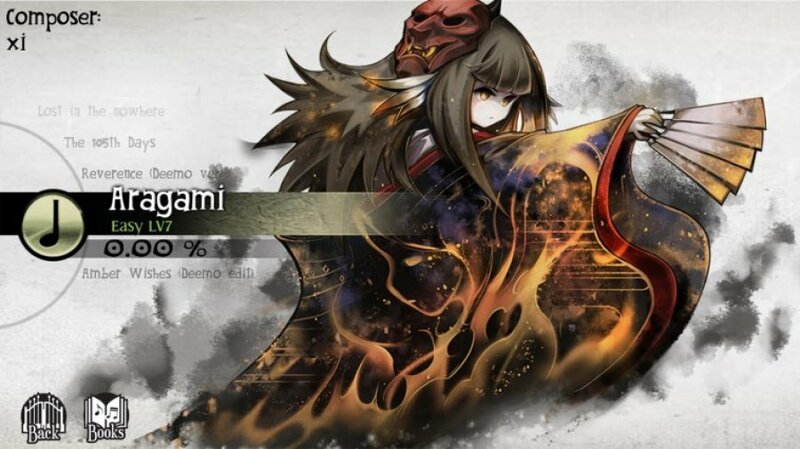 The screen size isn’t the only improvement Deemo’s Switch port can boast over its brethren; this version also has our favourite progression system of the bunch. The mobile and Vita versions are both quite grindy, doling out new songs at a slow enough drip that you’ll find yourself replaying the same tracks several times on different difficulties to make progress on the tree. While replaying songs is certainly part of the fun of rhythm games, it’s less fun to have to flounder your way through Hard Mode charts before you’re ready just to progress, and happily the Switch version drops these free-to-play gatings in favour of a much more generous model. New songs and packs are unlocked faster than you can play through them, and we reached the end credits — though far from the end of the adventure! — without playing a single song twice. This also means you’ll be able to see the story through to the end even if you can’t hack Hard mode, which is a nice improvement over VOEZ. Comparison with VOEZ also brings up one of Deemo’s few shortcomings to the forefront, however: the presentation in the music game itself is quite drab. That’s not to say that Deemo’s a dull game; on the contrary, the backdrops to the point-and-click adventure portion are gorgeous, and the key art that accompanies each song in the selection menu is fun and fantastically varied — we loved seeing Deemo and Alice in all different sorts of art styles and adventures. The problem is that once you get into the actual rhythm gameplay, that personality disappears, replaced by a sepia-tone score with the song title written out matter-of-factly in between the staves. There are admittedly some nice touches within that frame — like the second piano part accompanying your own floating out from the rhythm line in small shadowy notes — but when you play more than a few charts in a row, the lack of colour and visual variety becomes readily apparent. Other than that, however, we don’t have any real complaints with Deemo. While this Switch port lacks the animated cutscenes and extra epilogue of the Vita version, for us, the hundred-odd extra tracks and much-improved progression system here easily eclipse the omissions. Audio quality is excellent, and there are ample options to calibrate input timing and adjust response sound volume — we found turning it off entirely made solo piano pieces much more pleasant. We’d love the ability to mark songs as favourites and sort by difficulty, but that’s a minor nitpick, and the current pack-based arrangement is much better for thematic browsing than a single massive tracklist. Flyhigh Works’ second Switch symphony hits all the same highs as the first; Deemo is a fantastic rhythm game, with an incredible soundtrack, fun mechanics, and a surprisingly touching tale to tell. Its lovely art and piano focus give it a unique feel — without at all restricting its musical horizons — and excellent pacing and difficulty options make it accessible and fun for a wide range of skill levels. 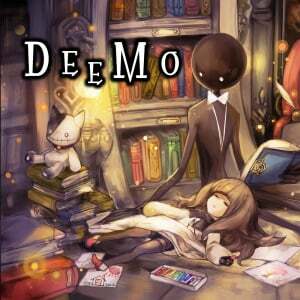 Music fans shouldn’t miss this — Deemo is a hit. Very intrigued by this actually. The trailer sure struck a nerve. But the pricepoint is a bit steep for my tastes, especially with quite a lot of high profile titles on the horizon. The price is a little high but I would rather pay one fee up front and have everything instead of being microtransactioned to death. Yep. Plus 30 dollars for 200 songs is a steal if you ask me. Any chance of a physical version? And now to go see if this game deserves this score by doing my own research and going to other sites, as this over generous site can't be trusted. @Zingo buy it and decide for yourself what YOU think it deserves. This reviewer thinks, in their own personal opinion, it's a 9. Someone else may disagree, you and I may disagree, big deal. Read the contents of the review instead of just focusing on the score, might tell you more about whether this game is for you or not. 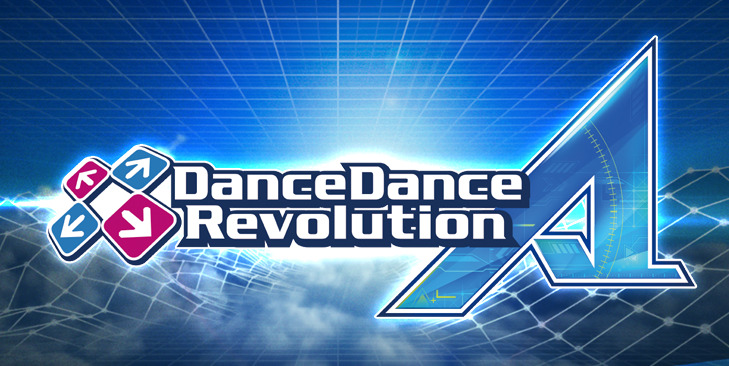 I want Dance Dance Revolution Ace for Nintendo Switch ! Awfully tempted by this, it's a really good deal compared to the mobile versions for the amount of songs. I've been playing a fair bit of Deemo over the last week and a half since it released in the Japanese eShop. I thought it was just going to be another fun rhythm game but it's a lot more than that. The story, the art style, the overall feel and atmosphere, it's a great experience. And the soundtrack, both the songs and in the cutscenes, is really good. It's certainly deserving of a 9/10 in my book, maybe even 10/10. This is consistently rated the highest rhythm game on ios, so not really surprised. That said, the Swtich version of VOEZ got rid of all Chinese-language music in its release, due to licensing issues. Can anyone with Deemo on Switch tell me if Chinese-language music still exists in this one? $30 dollars?... they crazy. Better off just getting it on the iPhone for 1.99 and get the books that are actually any good. I liked Voez, but I am not a fan of playing in the "tablet" so this will have to wait. @Zingo you do realize every reviewer on this site has their own opinions right? I was actually heavily considering this, I do like a rhythm game every now and then. But I'm definitely waiting for that controller support, touch screen controls aren't my thing. Does deemo have a demo? Got this game the moment it came out and stayed up until 3 am playing it all night. I think it absolutely deserves the score! I just played the demo for Voez a few nights ago and I really enjoyed what I played, if it was a tad cheaper it would have been an insta buy. The touchscreen of the Switch is perfect for games like this. Okay checked out other reviews and decided to skip this. @Agramonte no $30 is well worth it for all the content you get. Look fun, the price point is whats holding me back. Might wait awhile or when theres a dead spot of new releases to pick up. This port is missing animated cutscenes? That sounds like an issue. It doesn't have any impact on the story somehow I hope? @Sir_Anthony Nope! The story’s really well done and it has the original cutscenes done with ink art - they’re beautiful! - just not the animated ones that were added in for the Vita version. Definitely just as impactful and even a bit more in keeping with the overall style of the game IMO! That sounds great! I just listened to a few Deemo soundtracks on Youtube and I'm impressed. I will definitely buy this soon. @Zingo What other reviews have you looked at? Almost all the other reviews are for the mobile or Vita version, which play exactly the same. The game is universally well received and is one of the most popular and highest rated rhythm games on mobile devices. Did you just try to look for a negative review out of spite and to try prove that this review is wrong? Wow. When I scrolled down to the score, I didn't expect such a high raing. Then of course I went back to read the whole review. I didn't expect much of it, but now I'm considering buying it... I'll go check out the free smartphone version first. @SaKo all the reviews were positive but I saw reviews showing game-play and it looks like a mobile game, which apparently it is...just follow the lights and tap..no thanks. I also rarely play with the Switch not connected to the tv. The game just isn't for me and I still believe the score is way to high...basically this game is just one point away from being a Breath of the Wild, Splatoon 2, or Mario Kart 8 Deluxe...lol. Nope. @Zingo So you're saying the score is too high because you personally don't like rhythm games? 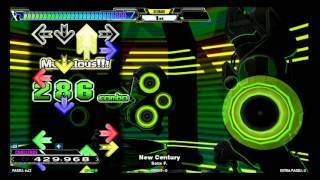 We need a miku game or at least IA/VT Colorful! I read before that this game was to get physical controls, which I would much rather use than touchscreen, just out of cleanliness. Can anyone clarify - does the game have them as an option now, or is there an announced date for them? @SaKo You probably shouldn't bother asking, for the sake of your sanity. It'll only lead to more pain. @gordjscott No button control in there now, and as far as I know no word on a specific date - but their post-launch support of VOEZ has been great, so hopefully this will follow similarly! 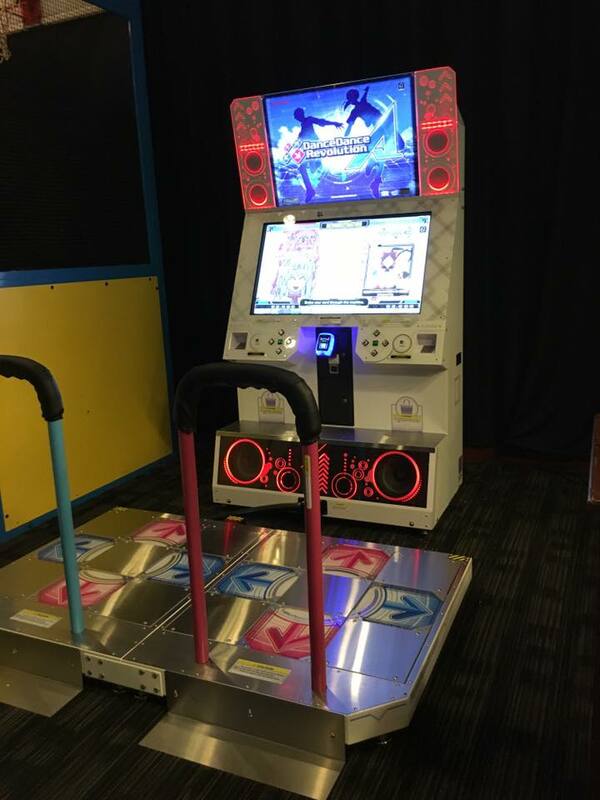 @zipmon Thanks, I'm hoping to get this and VOEZ down the line with button controls. @SaKo, no because look at this game and compare it to ones I mentioned. It's official, there are too many weird-cool Switch Indies I want to play and not enough time in the day. Such problems! @sinalefa Fair, but Voez at least is apparently getting some sort of update to allow for docked play, so maybe hope for this one too? Though I'm guessing not right away. Meh. I'll wait for Rhythm Heaven or Elite beat agents. @Zingo I love Breath of the Wild, Splatoon 2, Mario Kart 8 Deluxe and Deemo. All four are amazing games within their genres. You definitely just sound like you don't like rhythm games. YES! Was really hoping this would be good. @kobashi100 I'm an addict. Plus I like to see what unique songs show up in the game. I've been meaning to get the vita version but I'm still working through Tokumori (second Wiiu game) but I want to get the Ps4 version before the tatacon disappears. @Agramonte By the time you buy either the historical pack + 4 packs or 7 of the song packs, you've basically just paid the same amount that it'd cost for the switch version. There's like 30 odd song packs on the ios version. Agreed! And it never hurts to check out some more reviews anyway. @Zingo So is your opinion just fact or something? This game can't be compared with Mario kart and splatoon 2. It's a completely different game. That said, to each their own. @Zingo For fans of the genre, yes this does seem to be comparable to Mario Kart or Zelda, as, like them, it seems to be one of the definitive games in it's class. It has a 9.5 average user review across 500,000 user reviews. I don't play it or want it, but it sure looks like a lot of people would say this review here is too low, not too high. @Dunan Not all packs are worth it. Just because you dump everything does not make it a deal. It also been "app of the day" tons of time. You get the main app for free and each pack for 99 to 1.99. Just because there is 30 dollars worth of stuff on the App store does not mean it is worth buying. I stopped at about 12 dollars. @Zingo You say it like you're the first person to ever shop around. Who cares? @Agramonte Well that's true but if you do like the majority of what's in the packs overall it'll still end up cheaper. Obviously if you don't like the majority of the song packs you're not going to buy them or see the worth in them then getting it on a mobile platform might be the better preference. Is there a demo for Deemo?